Meeting friends at the LCDH. As most of you all know, when i can, i visit my local LCDH on fridays, cause it is my regular day off! 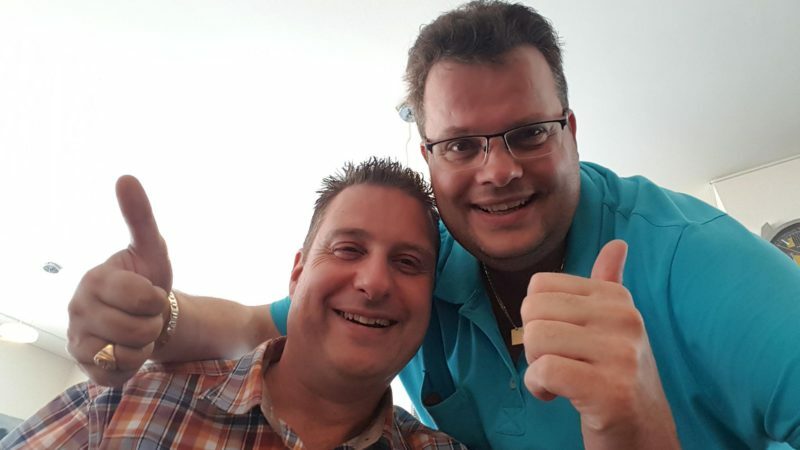 Today i had an appointment with good friends Jan and Armand from Limburg, to visit the Casa and share some good chats and cigars together! I arrived arround noon at the shop, and enjoyed a nice cappuccino with Yuri and Olav (Owners of the LCDH). 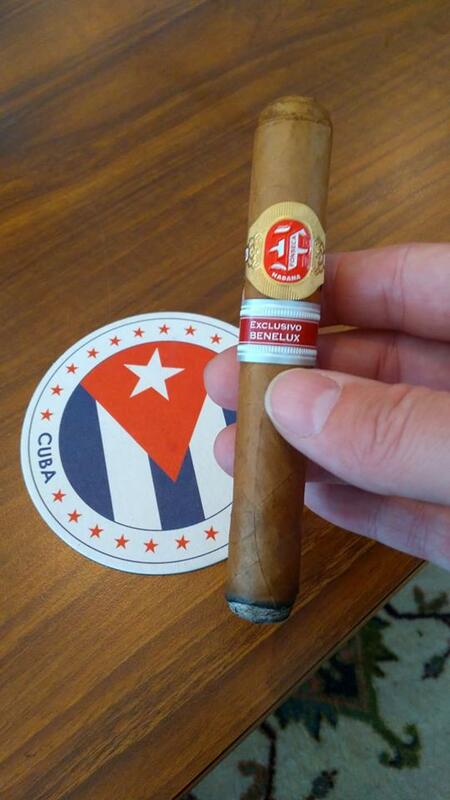 Somewhat later we where smoking a cigar with other regular customers that came in and the afternoon started off with good fun and laughter. 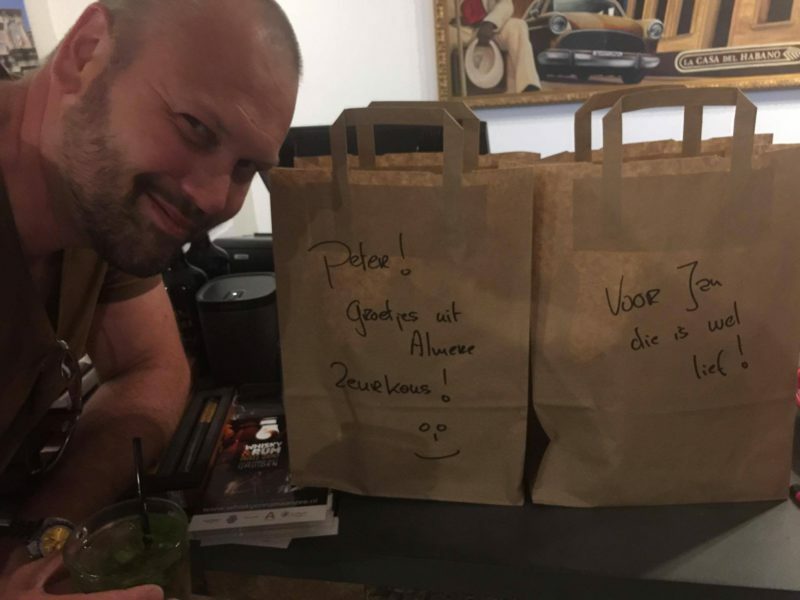 Meanwhile good friend Jan had send me a message that he and Armand where on their way to Almere. 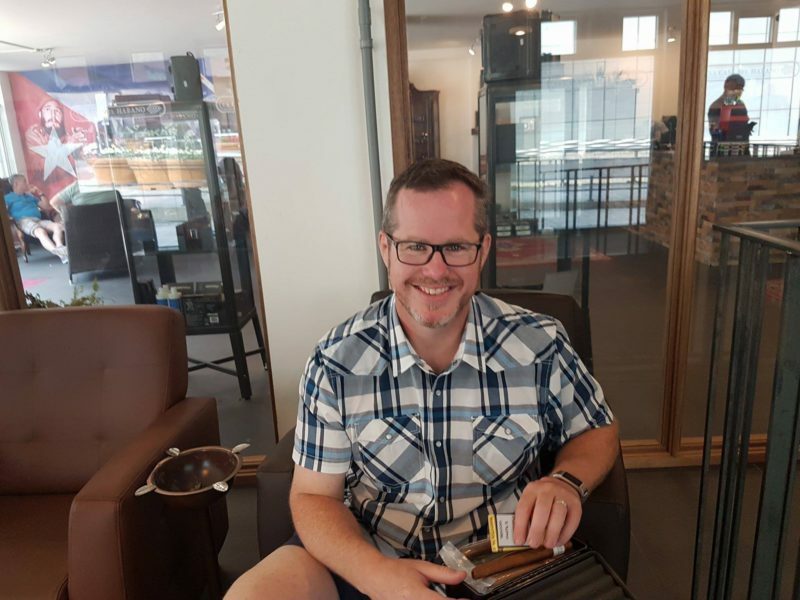 At arround 1400 good buddy Daniel (Living stateside) arrived, who is visiting The Netherlands with his family and he had time to share some cigars while the family was visiting the beach. He used to live here for a couple of years as an expat. We shared a lot of stories and puffed away some nice old stuff! At 1530h Jan and Armand made it to the shop! 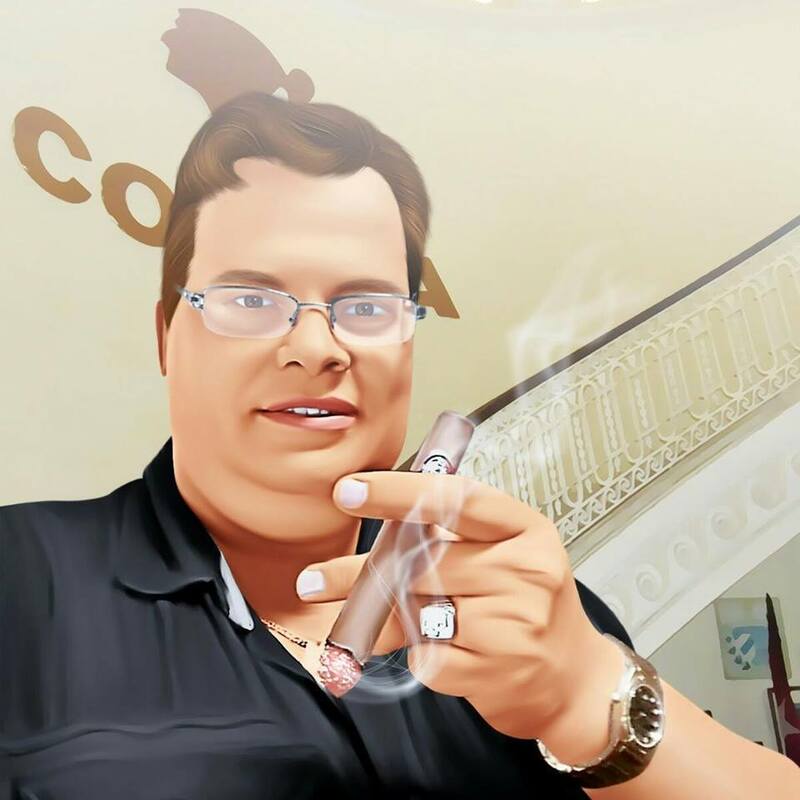 We greeted and sat down again sharing some cigars and laughs, all in all a really perfect afternoon! As the time went fast it was dinnertime already, we had to decide what to eat! At that point Daniel shouted out load, i have a craving for a “Kapsalon” (wich is a local thing coming from a Döner-shop loaded with meat and calories). 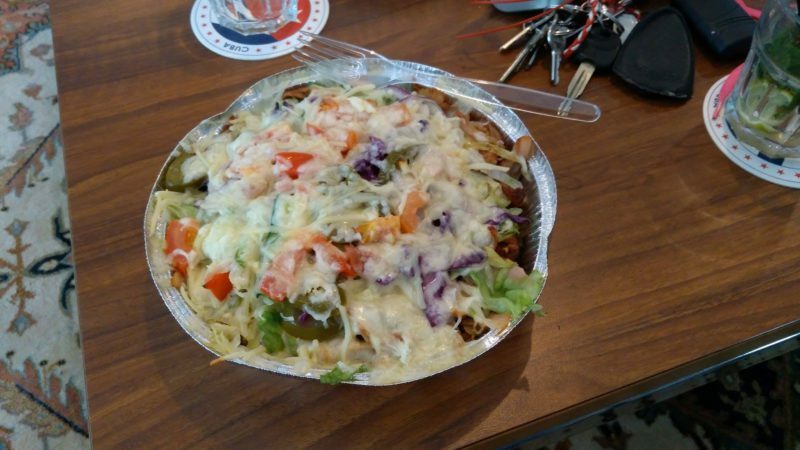 We liked that idea and Armand, Daniel and me walked out to go to the Dönershop to get our “Kapsalon”. 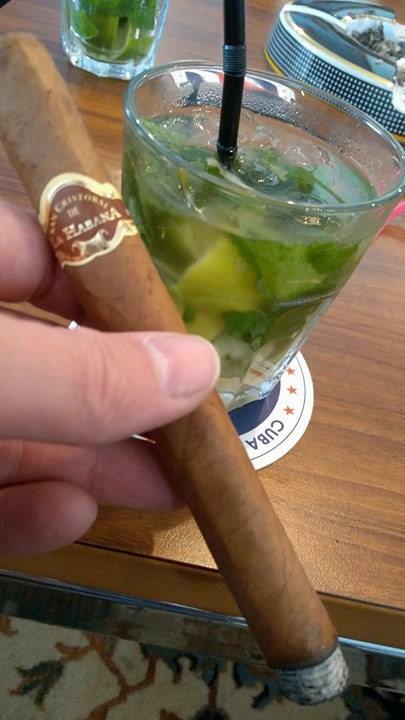 We went back to the Casa and ate our meals in the lounge and stilled our hunger… Meanwhile Olav started making his famous Mojito’s, so after diner we had a nice coctail to pair with another cigar! As time went so fast cause of all fun and laughter at 2200h Jan and Armand had to say goodbye, cause they had another 2h drive back home. 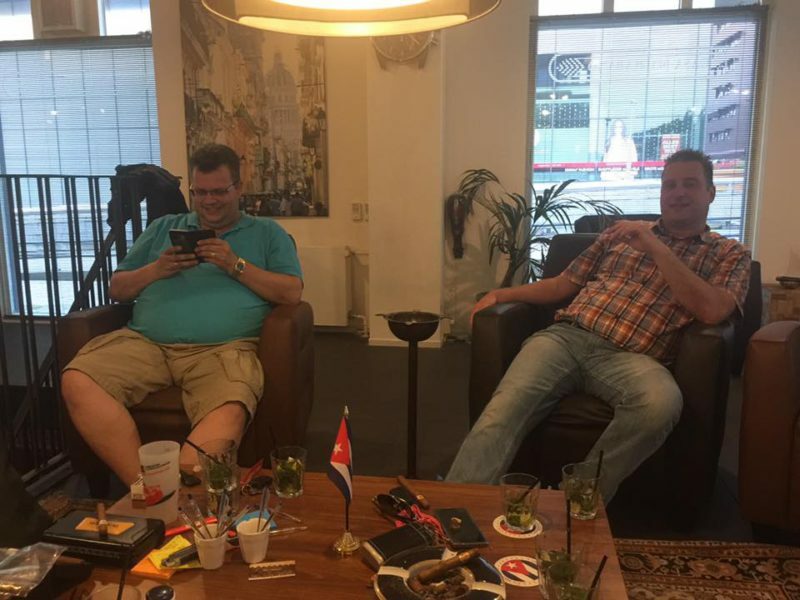 They packed their bought cigars and we thanked eachother for this superb afternoon and evening! 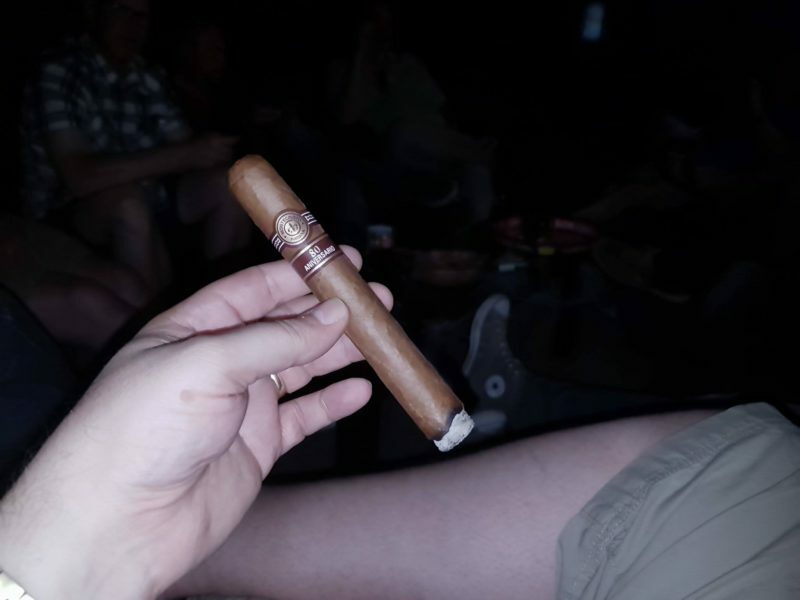 After that i joined the other guys who where sitting outside in front of the Casa, the temperature was now arround 23 C outside, so it was very pleasant to sit outside! 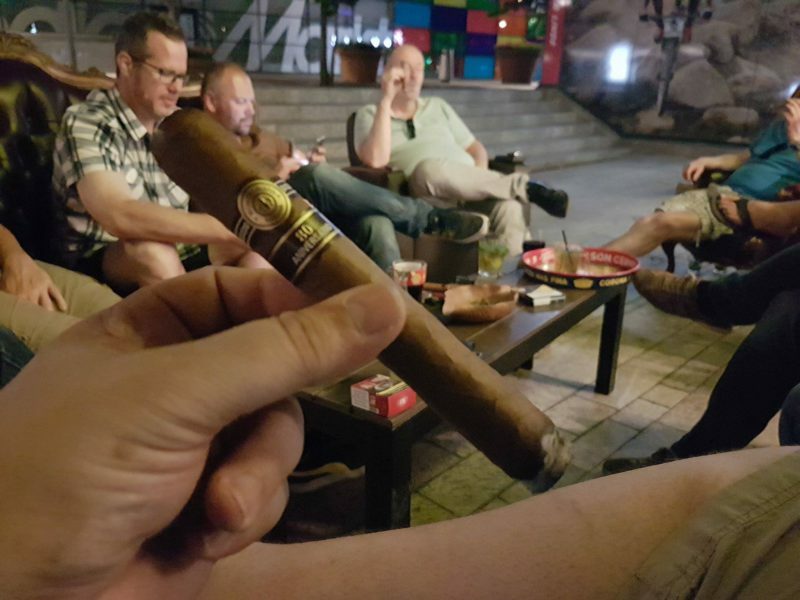 At arround 2330h Yuri suggested to smoke a MC 80’s as a final cigar, that turned out to be an amazing finish of a day well spent! At arround 0130h it was time to wrap it up and we all left! This day will be in my memmory as another amazing friday at the Casa!